The Super Supportive Mattress is our second firmest design. Comfort layers work together with support systems to provide a good balance of firm and soft. The top Tranquil Microclimate Layer adapts to your body shape, aligning your spine and relieving pressure. With two more layers below. Made and designed locally, see our range of mattresses to find the right softness for you. In the middle is the Cooling Honeycomb Layer. Our own unique design, it’s one-of-a-kind and was made based on extensive industry experience. The metalless hexagon structure optimises airflow, and provides more even support and pressure relief than coils or springs. Internal cooling beads feature a high-resilience gel, wicking away heat and moisture. The bottom Supportive HD Layer is dense yet breathable, giving you ten years of sag-free support, guaranteed. Made using state-of-the-art technology, it is incredibly dense yet five times more breathable than other HD layers. We spend about a third of our lives in bed, so make it count. Designed for the best sleep possible, the Super Supportive Mattress lets you enjoy no partner disturbance. The Outer Wrap Layer is cool and soft to touch, with a little extra cushioning. It features a breathable air gusset around the edges. And handle straps, so you can change sheets and rotate your mattress with ease. Our mattresses are the result of years of research and development. Each unique layer was designed in-house, based off extensive industry experience. They’ve been mixed and matched to target different needs. 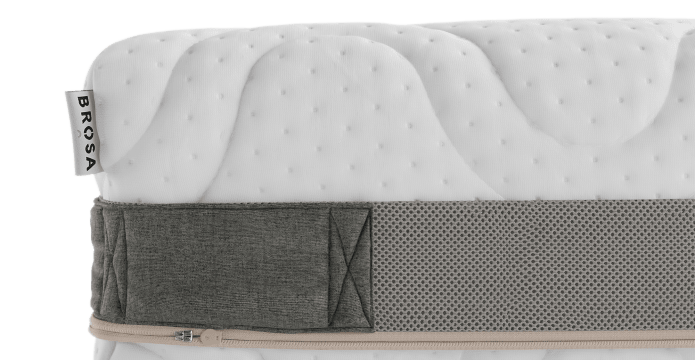 How do I know which Brosa mattress is right for me? Our range of mattresses offers something for everyone. Please view our mattress guide for a comparison. All our mattresses are made in Australia and dispatched out of our distribution centre in Melbourne. What makes the Brosa mattresses special, unique and different from others? Our mattresses utilise proprietary unique materials. Developed and engineered from years of research. 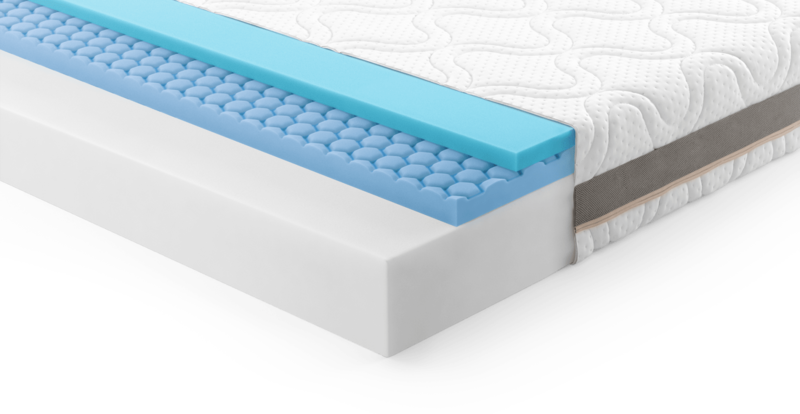 Each mattress page explains the layers and its benefits. 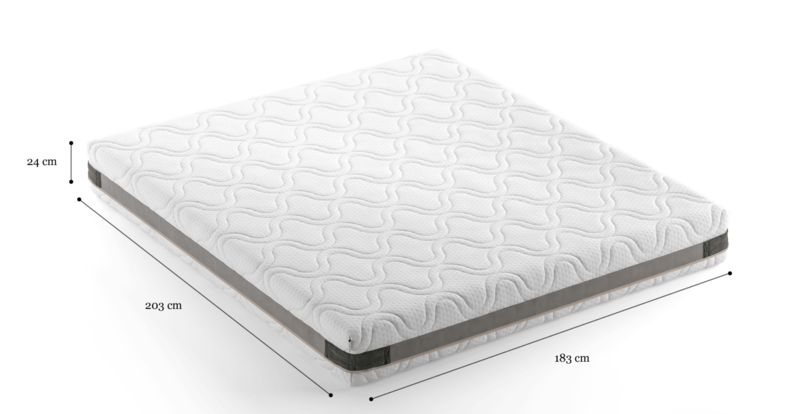 View our Firm Favourite, Super Supportive or Perfect Plush mattress. Our entire range of mattresses have a breathable outer layer which allows you to sleep at the right temperature, not too hot and not too cold. 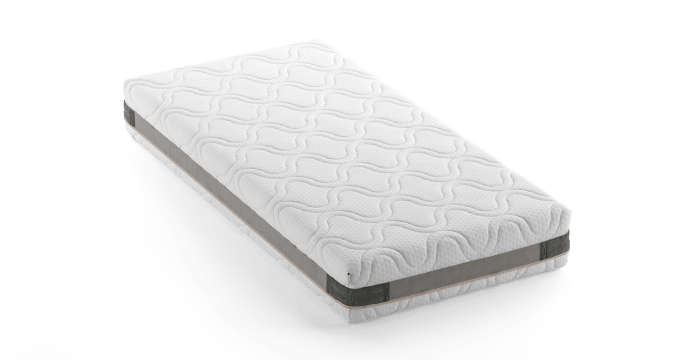 How does the 30 Night In Home Mattress Trial Work? We keep it simple. If you don’t like your mattress for any reason within the first 30 nights, contact us, and let us know what’s wrong. We’ll arrange a pickup, donate it to charity and refund your order (minus a returns delivery/process fee). It’s the same whether you’ve paid in full up front or are using the financing option. What type of base do I need for a Brosa mattress? Brosa mattresses were designed to sit on any firm flat surface that will hold your weight plus the weight of a mattress evenly disbursed. 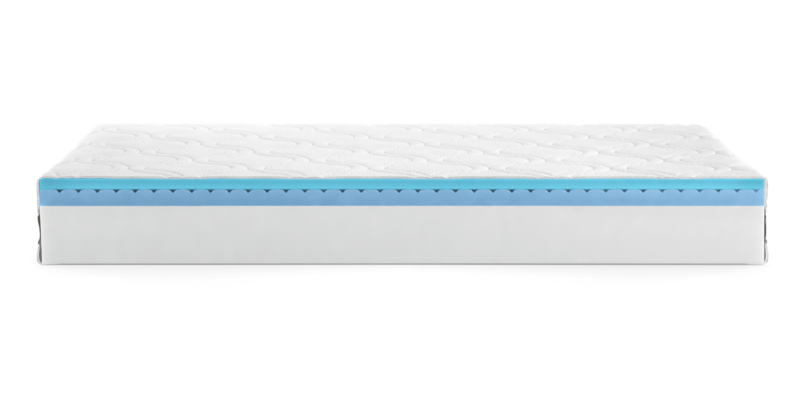 We’ve tested our Brosa mattresses on a slat base, box spring base and the floor. What mattress sizes and dimensions does Brosa make? Can I use a electric blanket? Make sure you follow the safety instructions of your electric blanket manufacturer. How much weight can a Brosa mattress hold? It was designed to support up to a total of 260 kg, and up to 115 kg on one side. Can I use a box spring base? Yes. If you opt for a box spring, we recommend any newer, modern one. Modern box springs are designed more like slats and provide more direct support to counter your body weight pushing down. Older box springs (designed for spring mattresses) usually have one supporting beam down the middle of the bed, making the mattress sag on the sides. We also do not recommend split box springs, which can cause sagging. Can I use the mattress on an adjustable bed? Yes, the Brosa mattresses are engineered with resilient materials to work with adjustable beds made for Australian size mattresses. Does it have a break-in period? Our mattress doesn't have a break-in period, as we have designed the Brosa mattresses to keep its form and firmness over time. If you're switching from a mattress made by another brand (especially any coil or metal spring-based mattress) for the first time, it could takes up to 2 weeks for your body to adjust to the new sleeping surface - keep this mind on your initial nights with it. No. Our mattresses are not designed to be flipped. The layers have been designed from top to bottom to provide ultimate comfort and support. As with all mattresses, If you sleep alone on one side of the bed or have a meaningful weight differential with your mattress partner, then we do recommend rotating the bed 180 degrees every 3-6 months. My mattress feels uneven. What do I do? This is almost always due to the surface the mattress is lying on. The first step we recommend is testing the evenness of the mattress directly on the floor. If you find that this corrects the unevenness, you should assess if your foundation, slats or box-spring are damaged or out of line. Needless to say, if your Brosa mattress still feels uneven on the floor it is time to contact us. How long does the mattress take to expand and return to normal size when out of its box? The mattress will take less than 2 minutes to return to full size. Prep your camera or phone before opening the box so you can capture this one in a mattress experience. 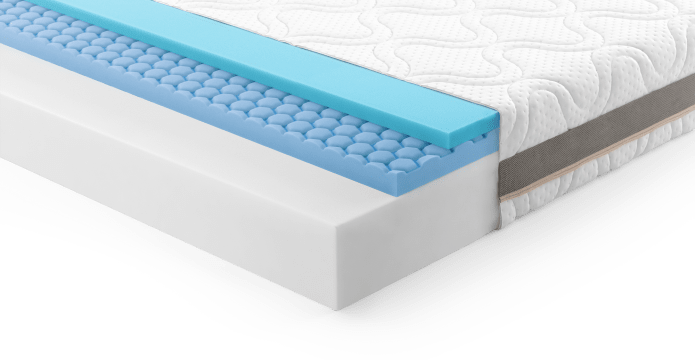 How does the mattress compare to other memory foam beds? Other brands manufacture a range of mattresses, so we can’t really speak to a specific model. The Brosa is not a standard full memory foam mattress. 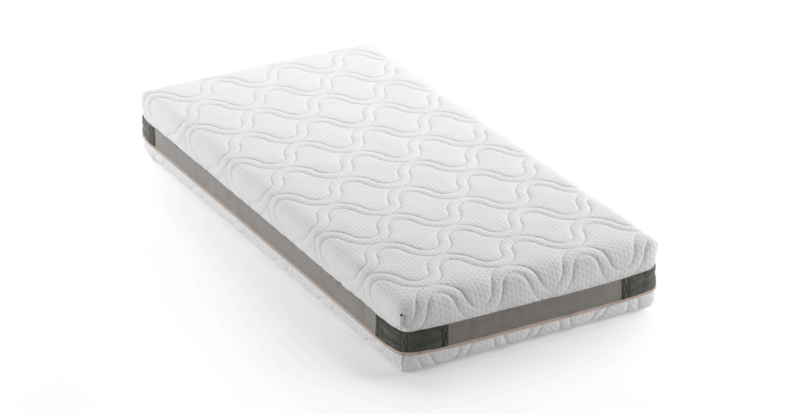 We designed the mattresses using proprietary layers of unique materials to provide contour and support. However, from our research, we found that about 10% of memory foam only mattress owners complained of sleeping hot. 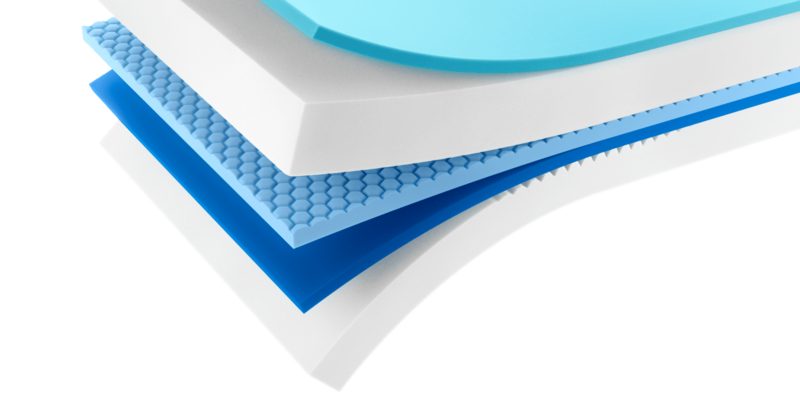 We designed our mattress to be breathable and contain cooling mechanisms and attributes to it. Will the mattress smell when unboxed? As with any new product, there’s a mild scent upon unboxing. However, Brosa mattresses don't use solvent-based adhesives associated with strong odours. Our water-based adhesive is more expensive, but eliminates unnecessary chemicals in your bed. If there is a slight scent, which can happen in 1 in every 500, it should dissipate in a few days in a well-ventilated room. Are there harmful chemicals in the mattress? No, all our mattresses meet and exceed all of the Australian and European standards. The materials used are bound together using a water based glue so there is no need to worry about chemicals. Formaldehyde is not used in any of the ingredients used to make our materials, and so formaldehyde does not exist in the mattress. There are no heavy metals (such as lead or mercury) in the mattress. We don't use fire retardants. The mattress materials don't contain phthalates. Our innovative layers do not contain ozone depleting substances (methylene chloride) and are made using a process called VPF. Materials made with the VPF process has 20-30% less VOC's than materials made by other processes. Does this mattress eliminate partner disturbance? Our range of Brosa mattresses provide more movement isolation than a traditional spring mattress. So yes, it’s fantastic for reducing partner disturbance. 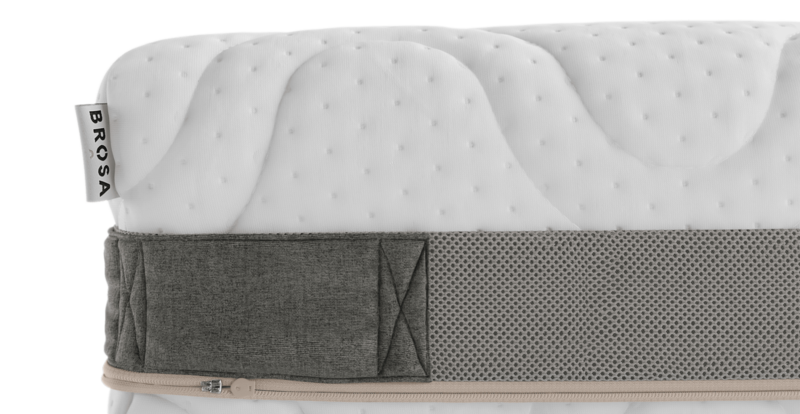 In designing the sleep-surface, we focused on balancing motion isolation with the common memory-foam complaint of feeling stuck. If your partner is anything more than 10 cm away from you, you will neither feel nor hear their movement. I have a latex allergy. Can I sleep on a Brosa mattress? We have developed our mattresses so amazing that we decided latex was no longer necessary. So, if you have a latex allergy you can sleep any Brosa mattress with peace of mind! I have specific medical problems. How will a Brosa mattress work for me? Every medical condition is unique in nature so it’s difficult to say if our mattresses will “work” for you. We are not doctors so we cannot and will not give medical advice. We’ve had many, many owners who reported a relief in back pain, but we’ve also had a handful of owners report no resolution of their aches and pains. This being said, the only way for you to truly know is to give one of our mattresses a try. Take advantage of our 30 night trial period. Will the mattress form a valley like my other mattress did? Our mattresses won’t sink, or form a valley. This is covered under our 10-year warranty. You can sleep sound knowing that you’ll have thousands of great tomorrows and your bed won’t change on you. The order came quickly and the delivery guys were great. It's beautiful and Super comfy. Exactly what we were after. Good news! Super Supportive Mattress is currently on display in our Alexandria Collingwood studio.